February 16 was the last day new bills could be introduced in the California legislature for 2018. The next day, our lobbyist searched through the hundreds of bills for ones that are of interest to us. She found about 50 that may be of interest. We whittled that down to about a dozen and I’ll share some of those with you now. 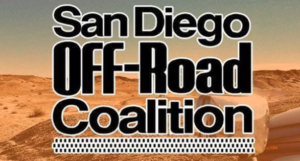 AB1874 by San Diego East County’s Randy Voepel is written to stop the $10 million transfer each year of OHV money to the general fund. This is the third time it has been introduced. This transfer was started in 2011 when the State was having grave financial trouble and money was being taken from every agency. The problem is ours was made permanent and has never been fixed. The State has excess money this year, so it is possible we may win this one. AB2252 creates a state grant administrator who is designated by the Governor to serve as the state’s primary point of contact for information on grants provided by state agencies. We are watching this bill. AB2745 would authorize the Department of Parks and Recreation to license and/or sell its branded merchandise, images, and other state park-related merchandise directly to the public for revenue generation. This could benefit nonprofits like Friends of Ocotillo Wells, allowing them to sell merchandise with the State Parks logo on it. We are supportive of this bill. SB984 says that all commissions in the state must include at least 50% women. We oppose the concept of a quota and believe that commissioners should be chosen based on their qualifications rather than gender. We were happy to see that two women were recently appointed to the OHMVR Commission. SB1293 would order a land carrying capacity survey. We will be watching this one carefully, as it applies to State Vehicular Recreation Areas (SVRAs) like Ocotillo Wells. SB1316 is the worst of the lot by far. It directs State parks to sell what is known as the Tesla Expansion to Carnegie SVRA to be conserved. This land is currently being litigated against and the same people who brought this bill and the current lawsuit are also responsible for the awful language in last year’s reauthorization bill, SB249. A little background: Some years ago the owner of this land (and land next to it) sold it to the State expressly to expand Carnegie SVRA. It was bought with OHV money. Years later, the State went through the process of approving it to expand Carnegie. While the man who sold it to the State has passed away, his son is determined to stop off-roading there. He is behind the lawsuit and these two bills. Funny thing is the land is only about three square miles in size and will be a stay-on-the-trails area with all vehicles being subject to strict sound rules. We intend to fight this bill vigorously. SB1328 directs the chair of the California Transportation Commission to create a Technical Advisory Committee to advise them on making a mileage-based road usage fee. The background on this is that electric vehicles pay no fuel tax, even though they use the roads. There is desire in the legislature to find a way to make all road users pay their fair share. They are trying to figure out how to equitably share the costs of roads. They may decide that GPS-type tracking devices be installed in vehicles to monitor mileage. The civil liberties people will want to make sure specific individuals’ travel is not tracked. We are interested in OHV travel and that miles traveled off-road have their fair share of tax go to the Off-Highway division of State Parks (Green sticker fund). While we don’t see too many electric jeeps now, there are electric motorcycles and it is only a matter of time until we start seeing electric 4 wheel drive vehicles. SB1450 would exempt pick-up trucks from weight fee requirements. We support this bill, as most pickup trucks are used as personal vehicles, not work trucks and it is unfair to charge the extra fee. Now that we have all these bills of interest, there is going to be an OHV Lobby Day on April 16 in Sacramento. OHV enthusiasts from all over the state will be there. We will be making appointments with San Diego and Imperial County representatives (or their staff) to let them know how we feel about these bills. If you want to join us, please let me know at info@sdorc.org.